Mangaluru, May 25, 2017 : Bollywood action superstar Suniel Shetty will be the event ambassador for second edition of the Indian Open of Surfing getting underway at Sasihithlu "Surfing is a thrilling sport which has now caught the eyes of the Indians. The sport has given a lot of opportunity to the locals around the coastal belt of India generating employment and revenue sources. It is a great initiative by the Karnataka Government and Mantra Surf Club in promoting our beaches and various adventure sports possible here. In its second edition, I can already see a considerable spike in interest amongst the locals as well as a lot of water sport lovers. It fills me with pride and honour to support the sport which I can proudly say has originated in India from my home town," remarks Suniel Shetty about his association with the event. The actor has also shot a video promoting and extolling virtues of the event and expressed happiness at the same happening in his backyard. The competition, which expects to see over 120 national and international participants, is a part of the ’Karnataka Surfing Festival’. The championship is recognized by the International Surfing Association and Surfing Federation of India and is organized by Dakshina Kannada district administration in association with Karnataka Tourism, Kanara Surfing and Water Sports Promotion Council in partnership with the country’s oldest surf club, Mantra Surf Club. "We are excited to have Suniel Shetty as the event ambassador. What adds on to the happiness is that he is also a local boy. Surfing as a sport needs this push and support for it to grow. The event would not have been possible without the support of the Karnataka Tourism who, have made it a part of their annual Karnataka beach festival. I would also like thank Trip 360 by Cox and Kings, TT Group of Companies and Union Bank of India for lending their support to the event," says Kishore Kumar, president, Surfing Federation of India. The second edition of the ’Indian Open of Surfing’ is open to public and is an effort by Karnataka Tourism to promote the state as an international surfing and water sports destination. Celebrities will be invited for the closing ceremony. The state government will be promoting the event nationwide with the intention of showcasing Mangaluru as the premiere surfing destination in the country. from Friday. 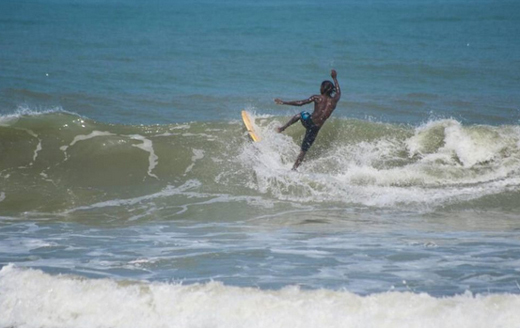 The three day surfing extravaganza, that would witness over 120 surfers of national and international origin vie for top honours, beings on Friday from 7.30am onwards.